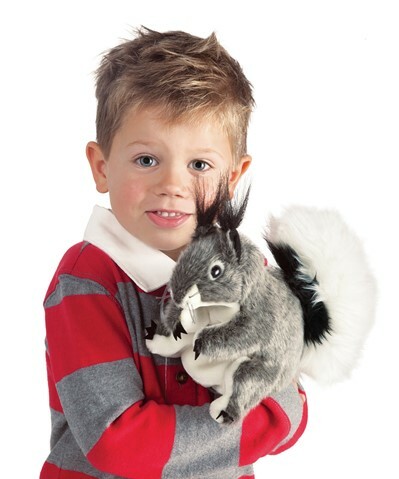 Folkmanis 3101 - Wildlife doesn't get much cuter than the Folkmanis� ABERT'S SQUIRREL puppet. 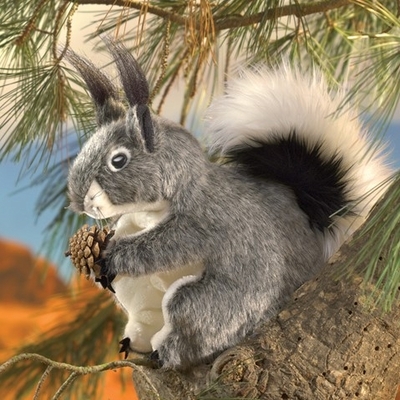 Gray and white with tufted ears and movable mouth and legs, this critter finds its home amongst the ponderosa pines. Movable head and all legs. Puppet measures 11� x 4� x 8�.